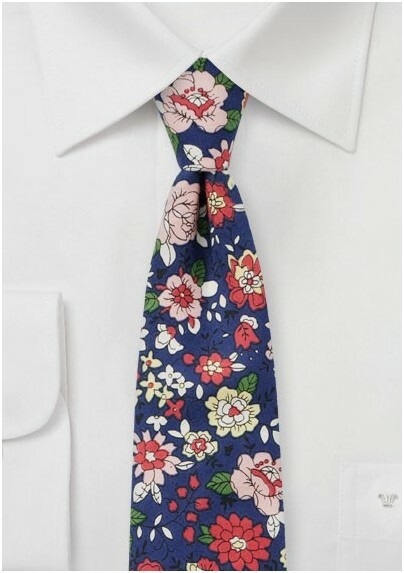 His wardrobe will finally be complete once this handsome floral print tie out of BlackBird's vintage cotton collection is added to his tie hanger. 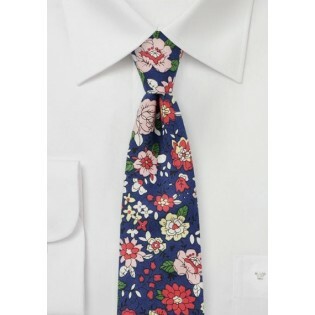 A fantastic tie for casual wear that looks superb when worn with casual jeans or chinos. Also a great choice to for fitted linen suits in tan, cream, or blue. Handmade from digitally imprinted cotton fabric by neckwear brand BlackBird.